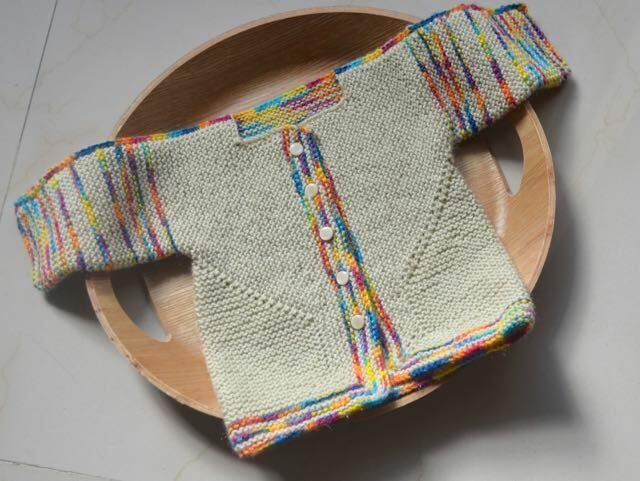 Smart design and good hand knitting combine to make an unusual and attractive baby set for sweet infants. 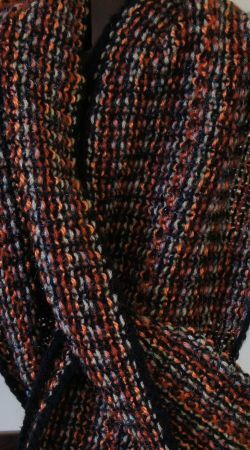 Easy to maintain and made from high quality baby wool, this combination of bright primary colours and khaki will fetch many a compliment. Can be made by special order in any other colour combination too. Smart and unusual, the clean lines and minimalistic chic of this baby set will fetch the wearer many an admiring compliment. 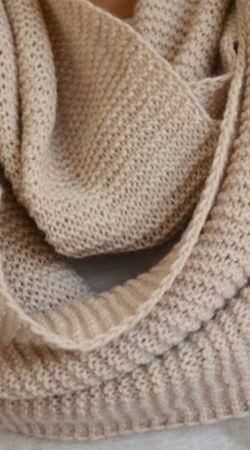 Comfortable and easy to maintain, this set will be loved for many months. I have baby customers who would insist on wearing their jacket till their second birthday! With a smart bonnet and some dinky booties, this baby set is special. 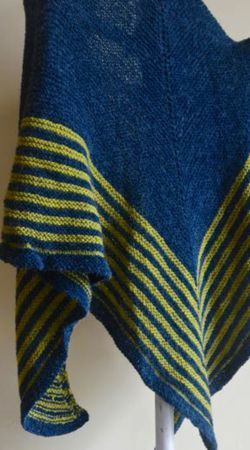 This legendary pattern is considered to be “a very entertaining piece of knitted engineering” by knitters worldwide. 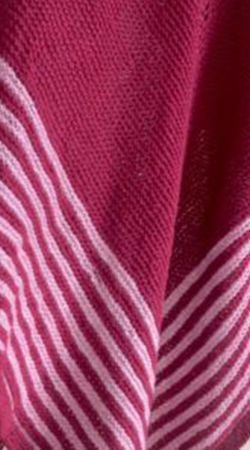 A complete break from traditional baby patterns, the stripes and colour combination are unique. 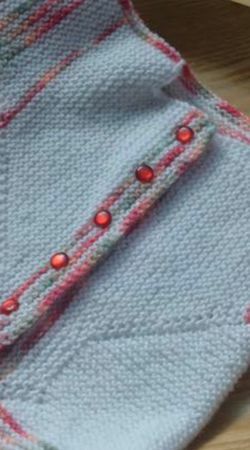 Not very easy to decipher and make, this set might be a little puzzle for the knitters surrounding the lucky baby. Knitted with bright coloured stripes and khaki, this baby set can go for outings, keep a dear child warm and attract attention and admiration. There can be as many colour combinations as one can think of, so please do not be restricted by the set shown here. Any combination can be ordered, as long as you are willing to wait for 3 weeks.